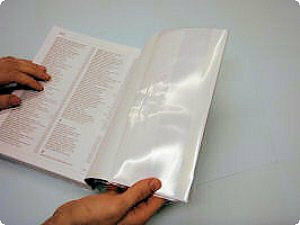 Adjustable Lyfjacket - Height 212mm 10 Pack is published by Book Protectors and is our 3578th best seller. The ISBN for Adjustable Lyfjacket - Height 212mm 10 Pack is BP21210PK. Be the first to review Adjustable Lyfjacket - Height 212mm 10 Pack! Got a question? No problem! Just click here to ask us about Adjustable Lyfjacket - Height 212mm 10 Pack. What is the overall length including spine, once it is opened? This is for anglicized edition of the ESV Bible (copyright 2002 Collins). Thanks.